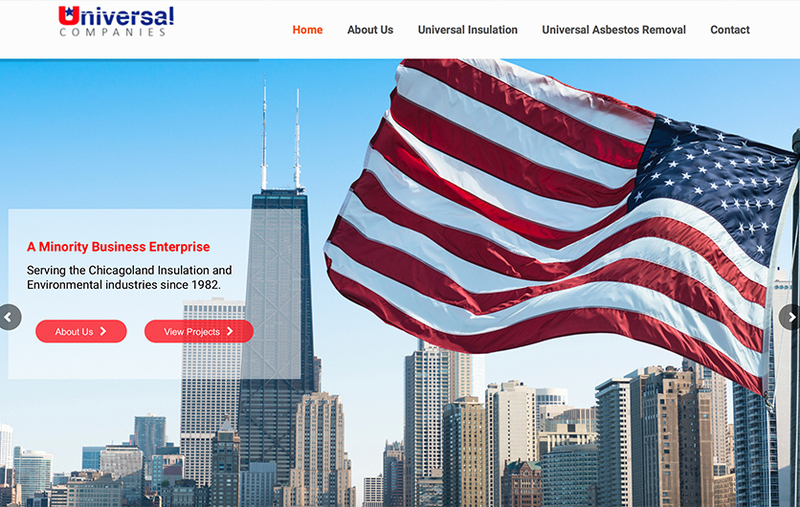 As a family owned and operated business, Universal Companies prides themselves on efficient, quality service, and precision insulation and environmental services. 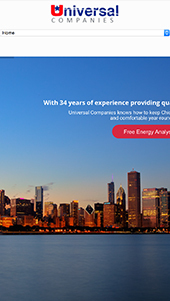 Universal has worked with a wide range of contractors and builders on some of the largest and most famous buildings in the Chicago area such as O’Hare Airport, Soldier Field, Wrigley Field, Rush University Medical Center, Shedd Aquarium, Museum of Science and Industry, Northwestern University, and the UIC College of Medicine. When we started the web design conversation with Universal Companies, their website was in need of a redesign. The existing website wasn’t a scalable solution that reflected the firm's growth and notable projects. The new site positions Universal Companies as a Chicago area powerhouse while upholding family-owned values and a focus on highlighting significant accomplishments, showcasing projects beyond the high-profile ones, sharing stories of their employees and communities they serve.